72 Hours Of Madness: Don’t Miss Out! You may think that he’s gone mad! Well if he has it will only be for 72 hours, what am I talking about? It’s the amazing opportunity John Thornhill is offering to get hold of almost all of his top selling products for a song. In his 72 hours of madness event. John Thornhill is a highly respected marketer living in the UK some would call him a guru; however John would wince at that, you see John is just a straight up honest ordinary guy with an extraordinary talent. John’s passion is teaching others how to make money online by following in his footsteps. John used to work in a car assembly plant and hated every minute of it, but John had a dream, to escape that existence and work for himself. John worked hard and is now living that dream, he has also helped countless others do the same. John sells information and he had created a series of best selling products that teaches how you can do the same. If you want to be a success online follow someone who is. I chose John as my personal mentor in 2009 and it was the best business decision I have ever made now for just 72 hours of madness you can grab the best investment you can make in your future for only $97. John’s flagship product that has helped thousands of people get started online. He shows you everything you need to know about the eBook business from creating your own information product to selling information products on eBay. He also supplies you with your very own eBook website as part of 72 hours of madness. If you want to get started online selling information products this is the perfect product for you. This product originally launched back in 2007 but still contains information that is as relevant today as it always was. In this 7 day home study course I show you how to take any information products with resale rights sitting on your hard drive and turn them into a profit pulling machine that runs on autopilot you will also receive teh 2010 update as part of the 72 hours of madness. Auction Profit Streams is John’s most successful eBook with over 10,000 copies sold in digital format and in print format. This eBook basically covers everything you need to know about setting up an information marketing business using eBay. He covers everything he knows based on 5 years experience selling information products on eBay. 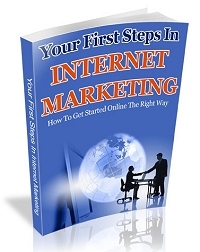 If you really want to get started selling information on eBay this is the eBook for you. This is this big one, Johns Online Training launched only a few months ago in December 2009 and access currently costs $497. This site keeps getting bigger by the day and is the site where you help me create the content. There is a members only forum where John get involved and help answer anyone’s questions and generate content based on the questions I receive. John has consulted with many members on a personal level and all of the content created is made available to all members. Plus MUCH MUCH MORE, full details below. You will receive the opportunity to have a 1 on 1 live consultation. John will personally record a live consultation with you, giving you an ‘instant’ product to sell or use to build your list. He will even promote the consultation to his entire subscriber database if requested giving you the boost your business needs. You can consult with him anytime in 2010. Those that know what this can do for their business will snap this up just for this offer alone. you may or may not know John have recently moved into a brand new purpose built office. He now have everything completely up and running and the fact is he can now dedicate more time to helping others on a more personal level. Up to one hour of his time per week (Monday – Thursday) to helping you build your business one on one via telephone for the next 8 weeks. He could easily charge $497 per week for this. Of course if you don’t want to talk on the phone he will use email, it’s up to you. John will completely review everything you have accomplished online so far and work out a personal plan of attack for you to take your business to the next level and beyond. Once again you will be working with him on a personal level as he helps you to grow your business. He will show you which of the products (that you have already paid for) will help you move forward. No need to overload yourself with products you don’t need. I personally know how to create and launch a successful product; I have also developed a friendship with a list of highly respected marketers. How would you like them to become involved with your next product launch? Well it can happen; John has helped some of his subscribers receive promo’s off some of the biggest names in the business resulting in tens of thousands of dollars in sales. He can personally put you in touch with some of the internets most respected marketers. You simply can’t put a price on what that could do for your business. LET’S RECAP WHAT’S ON OFFER! Here is my Mega Bonus for purchases made through my link. I am working on a new product “The Easiest Business Start Ups For Under $100”, this is for both online and offline businesses. This is in an advanced state of preparation and will consist of an eBook and a series of videos to get your business off to a flying start at a minimum of costs. I am granting the resale rights to this product for all purchases made through my link. I am thinking of selling this at $47 and there will be a full range of materials for you to use to promote the product. You get to keep 100% of the money you make selling this product. You will be off to a flyer immediately and when you create your own product I will promote that product to my list you can do this anytime during 2010. So two for the price of one, this is the type of start I would have wanted when I started. An execllent article with good points, We have been a lurker here for quite a while but wish to be a lot more included in the future. Yes, John Thornhill really jam packed this offer of his. Tremendous value! You, my friend offered a high value bonus for purchasing via your link. Great job! I was already on another list of yours. I just subscribed to your blog. You are first rate all the way! Anyways how have you been and whats new on your side. Hi Maddi fantastic value if you ask me, I already have some of this stuff too, but it sometimes becomes overload tring to do too many things at once. Hi Goeorge I intend to offer this again in a competition so keep watching my friend! A great deal of value here, from John, i have a few of these products myself, and i have to say they are all top shelf!